We are in the studio for the next few months finishing the new album. Check out the cover art. The album DRIVE BY HIGH 5 will be in stores in the Spring 2013. The first Single & video will be released in September 2012. We can't wait! The guy on the left holding the guitar is Donnie Smooch's grandfather Jim Rife. He played guitar & music all his life. Pretty stoked! 28 songs down currently. We can't wait to get them out to the fans. 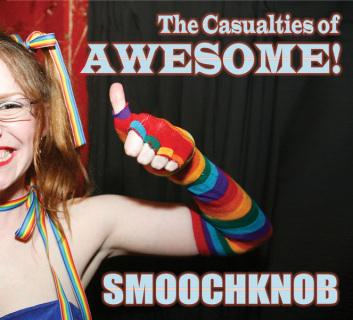 Buy the latest Smoochknob album.